Next weekend, Thursday 13th and Friday 14th sees the tenth year that the local volleyball tournament, the Beach Bash has taken place. 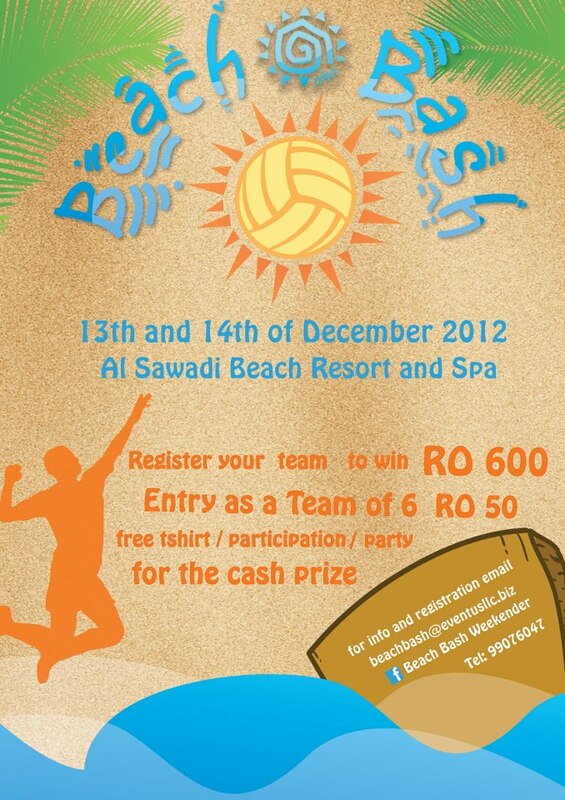 This year it's being held at the Al Sawadi resort up past Barka. The tournament hosts up to 32 teams who battle it out for some prize money, along with a pretty good party on the beach. To Register a volleyball team for a chance to win RO 600. Goes up to RO 75 two days before. Goes up to RO 15 two days before. -Couples free entry between 7.30 and 8.30 on thursday night. -Party entry tickets are RO 10.
or visit the facebook page Beach Bash Weekender.